Yes, to me the unexpected happened, a pet owners’ worst nightmare. I was going on a 2-week vacation to the Caribbean with my husband. A long-awaited mental break after an exhausting year. Our dog Jack always went next door to my neighbors, literally his home away from home. I dropped him off, gave him a big hug, and laughed as he ran happily into the house after his best dog friend. Little did I know three days later he would be gone. Like everything in life, we try to make sense of these senseless things. As a veterinary professional I know these things happen. As heartbroken as I am, I have to take the life lessons this has brought, and here are three key things that have hit me. 1. Give Bad News Quickly. There was debate amongst my friends and colleagues whether to tell me, and three days passed before I knew. Fortunately, my neighbor made the right choice to tell me sooner rather later. She said it quickly and with compassion, waited for the shock to pass, then told the story. I wish I could speak to my clients so well. After the fact I felt weirdly deprived of the 3 days he was already gone that I didn’t know. There is no caring person that wants to break bad news to someone. Particularly vets who have to give bad news on a regular basis. Giving a terminal cancer diagnosis, having to tell an owner their pet has kidney failure. I have found myself on occasion delaying telling an owner bad news, simply because I did not want to cause them pain. Beating around the bush with the actual words because I did not want to be the cause of their grief. The reality is they need to hear the words as soon as you know them, and given directly. The truth has to be delivered, painful or not, and delaying it robs the person of the time to process and be informed. 2. If You Have to Go, may it Be Quick and Painless. The one saving grace for me is Jack literally died in his sleep. He had a great day playing with his friends, enjoyed some post holiday treats, and went for his evening walk. He lay down, went to sleep, and 20 minutes later was gone, by what we can only assume was probably a brain aneurysm. He was only 8 years old and had no illness. He did not have to suffer a long and painful disease process. He was surrounded by people who loved him and he had no knowledge of the event. I’m sure when the day comes, we all would want to go this way. Most pet owners wish for this kind of end for their pet, but majority eventually have to make the painful choice of euthanasia. I have been spared this and will remember that when consoling clients. 3. Life is Short. Take Nothing for Granted. In our profession we have to deal with death every day. I have been the vet counseling an owner whose pet has died suddenly with no good explanation. I have felt helpless trying to explain that these things just happen, and no one knows why. It is the fleeting nature of life, and it reiterates that we never know when our time is up. It reminds me to be grateful for every day on this planet we get to enjoy. Be grateful for your loved ones while you have them, be grateful for your health while you have it, be grateful for all the little things that make life worth living. That day I left Jack I had a fleeting moment of “what if I never see you again” so I gave him a big hug and told him I loved him. May I always be reminded to do this whenever I say farewell to a friend or family member. Majority of the time I will be fortunate to see them again, but you just never know. As animal lovers we are so lucky to have these creatures in our lives, albeit often for too short a time. 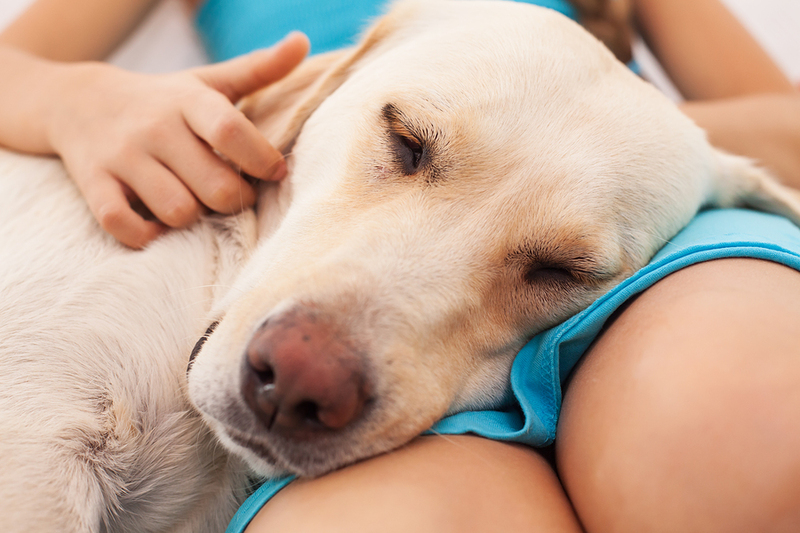 As pet owners, we can empathize and grieve alongside our clients, as we have been there too. I wouldn’t give up the 8 years I had with Jack to be spared this heartache, and I look forward to the next furball who graces my home whenever that may be. I will gain new memories and lessons that I will learn from a new four-legged friend, and it will be as unique and cherished as all that have come before. 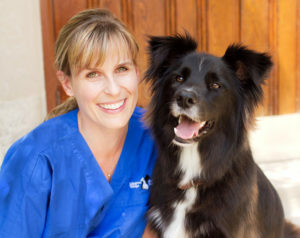 My name is Dr. Erin Spence and I am a small animal practitioner in Toronto, Canada. I own Islington Village Animal Hospital and am a graduate of the Ontario Veterinary College. I have special interests in practice management and veterinary dentistry. I love all animals but truthfully am a dog person at heart. In my spare time I have interests in travel, wildlife conservation, and fitness.